There are Giants in the Land . . . The giants and villagers have lived and worked side by side for as long as anyone can remember. When these great protectors suddenly disappear, with no explanation, a young farmer named Thomas sets out on a journey to discover why. Along the way, Thomas discovers much more about the giants—and himself—than he ever imagined possible. 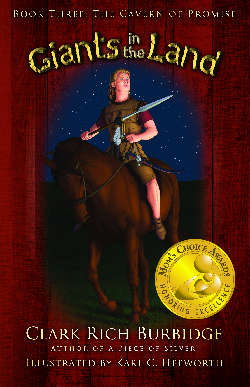 Follow Thomas in his timeless rite of passage and discover what it means to become something more than you have been. 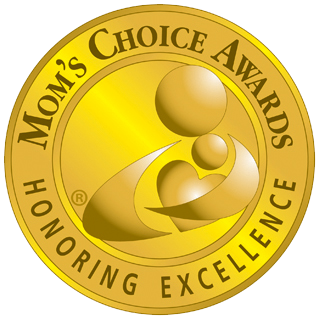 2015, 2014 and 2013 International Gold Medal for YA Fiction Mom's Choice Awardee. 2013 International Finalists Medal Awardee for YA Fiction, Readers Favorite Awards. 2013 League of Utah Writers Honorable Mention Award, YA Fiction. Book 3: The Cavern of Promise -- Completes the award-winning trilogy with an impossible triple quest: Free Thomas from the clutches of the evil King of Westland, redeem a lost people and save a lost land from its slide to destruction. Can the answer be found in the whispered legends of a lost cave full of danger and fabulous treasure? Join Thomas and his companions in their quest to discover "The Cavern of Promise." Will it bring their deliverance...or doom?